We regularly act for different stakeholders including the appointed external administrator, the board of directors, the secured lenders or the key creditors. William James’ expertise in Insolvency is further affirmed by the inclusion of Brendan Wyhoon as a Market-Leading Lawyer in Asialaw Leading Lawyers Guide 2017. This recognises Brendan’s expertise, reputation, leadership and exceptional client service. Our team are true specialists in the insolvency industry and most of our team members have completed the Insolvency Education Program run through ARITA, the insolvency industry body. Both Brendan and Michael also help lead required seminars for that course. 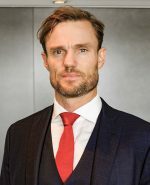 William James also acts as safe harbour advisers pursuant to the Corporations Act helping companies and their directors to implement restructure plans in a way that protects directors from allegations that they might have trade the company while insolvent.